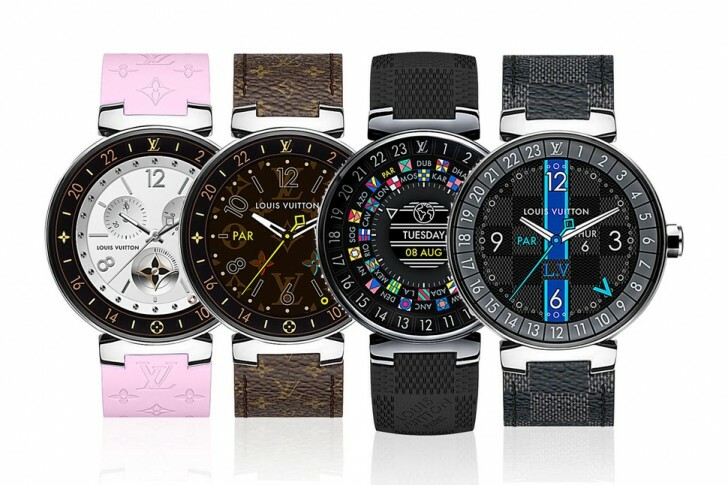 The latest fashion label to get into the Android Wear smartwatch space is Louis Vuitton. It definitely is one of those brands that needs no introduction, and today it's unveiled the Tambour Horizon, a wearable running Android Wear 2.0. 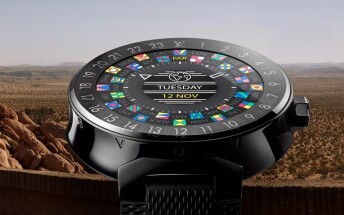 The Louis Vuitton Tambour Horizon has a 1.2-inch 390x390 round AMOLED touchscreen, the Qualcomm Snapdragon Wear 2100 chipset at the helm, 512MB of RAM, 4GB of storage, and a 300 mAh battery. It's water resistant up to 30m, has a 42mm case, and is 12.55mm thick. The company is offering 60 different detachable straps for the watch, while its screen and back are covered in sapphire. On top of the usual Android Wear 2.0 experience, Louis Vuitton has added two apps of its own - My Flight and City Guide. The names are pretty self-descriptive - My Flight lets you have all your air travel info in one place, while City Guide provides LV-approved tips and recommendations once you land. The entry-level stainless steel model of the Tambour Horizon is priced at $2,450. If you want the black version you'll need to pay $2,900 for the privilege.